They say it’s the little things that matter. That statement is especially true when it comes to selling your home. The little details make a big difference in whether you sell your home and for how much it finally goes for. Potential occupants take less than ten seconds to judge the quality of your home and if they want to live there. In fact, they’ll apply this snap judgment to the interior of your home as well. They may not even walk in the door if they don’t like the outside. Fortunately, the little things are easy to fix and have the biggest impact on your home’s curb appeal. If you don’t know where to start, then the best course of action is to get a second opinion. Talk to friends and family or, if there’s none near you, talk to an agent. An outsider will see the little things that you’ve long gotten used to seeing. 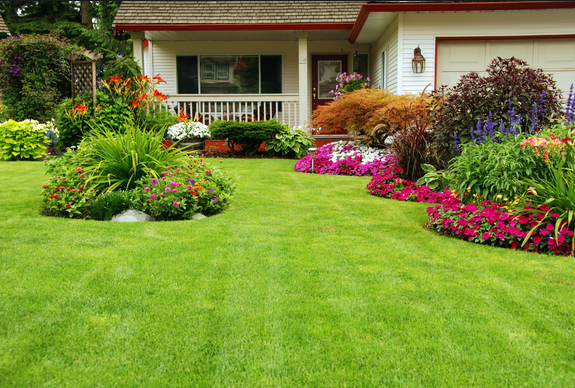 Your home’s yard is one area that shouldn’t be noticeable to the prospective buyer or renter. That is, it should complement the home’s exterior. The landscape should be clear of weeds, bare spots, trash, and clutter. 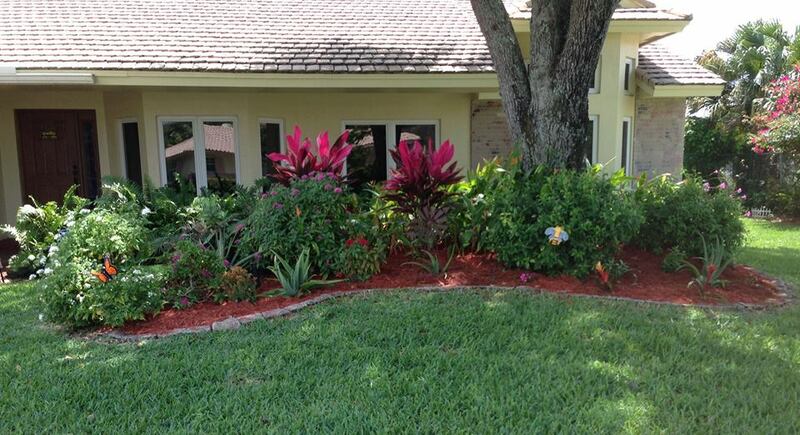 Add new mulch under bushes and trees to brighten flower beds and add an air of cleanliness to the yard. Treat the yard a few months before you plan to sell to make your grass greener and reduce weeds and moles. Trim bushes and trees as necessary to make the yard appear well-maintained. The front door is a quick way to add a pop of color and style to your home and provide an impression on the neighbors that will last for years. Doors can cost hundreds to purchase and install so painting is a great budget-saving alternative. Pick a color that complements the home’s color scheme and landscaping. If the home is black and white, for example, pick a bright cobalt blue or yellow to brighten the home. If your home is all wood, perhaps a brick red door would fit. Stumped? There are examples of eye-catching door colors that should inspire your creativity. Be sure to check with any homeowner associations before painting. The small details may not be noticed by you but contribute to the overall opinion of your home by visitors. Fixing these details, fortunately, is easy. This could mean putting in a fresh mailbox or putting up new address numbering. Or it could mean replacing the door fixtures and the door knocker. These fresh additions make it so that potential owners don’t see rust, dullness, and peeling. Instead, they’ll admire the shiny new fixtures and how updated everything looks. Or even better, they won’t see the details but will still have a positive feeling about your home’s condition. The exterior of your home should convey a warm, welcoming vibe that buyers can see themselves in. If the exterior has clutter such as bikes or old toys strewn about, the impression of your home will be that you neglected it. To combat this, it’s imperative that you clean the clutter. The next step is to add elements of cosines. Buy a new outdoor rug that complements the color scheme. Put in a deck swing or a bench on the porch. Anything that invites the visitor to imagine themselves sitting in that spot to enjoy the neighborhood. The roof strongly influences buyer opinions. One of the first things prospective buyers question during an open house is the quality of the roof. No one wants to burden the cost of replacing a roof in the first years of home ownership. If the roof is noticeably damaged, then fixing it or outright replacing it should be at the top of your to-do list. If not, then work to make it appear attractive. This should involve cleaning the cutters completely and clearing the roof of debris. The last thing you need is for your roof to look like there’s a forest growing on it. For an average home, a clean, repaired roof could make the difference between selling and not selling your home. The exterior may seem like the least important component of your property. Yet it’s the one that most strongly affects your home’s curb appeal. Potential homeowners buy the home they can see themselves living in. If the home’s exterior is cluttered or run down then the first thing they envision is themselves cleaning up the mess. Lastly, you’ll need to budget for these fixes as for anything else. The last thing you want is for the costs of repairs to exceed the boost in the home price you would otherwise have received. For my readers, I wanted to share one picture of our front yard. One of the many reasons we opted for this home was its curb appeal. We like trees and plants, add to it a mix of sculpture and we’ll buy any property. See the picture and tell me if you’d have rejected this home. Please share your thoughts about increasing home value by enhancing its curb appeal. Not everyone wants to care for an elaborate landscape. Sometimes a neat, but plain yard is appealing. New owners can add to it, if they wish. In other words, if you already have a gardener’s paradise play it up; if you don’t, make it as neat as possible and add tubs of flowers, etc. to warm it up. I recently sold a house that was plain, but neat.